If you are a new client, please arrive for your appointment 15 minutes prior to the scheduled starting time. This allows you the time to fill out the appropriate client forms, change and prepare for the service. All massages have a specific time schedule and early arrival allows for a relaxed and unhurried experience. Do not eat a heavy meal less than 2 hours prior to the treatment. If you are diabetic, however, please have a light snack before your appointment and have one ready for soon after. This will help keep sugar levels stable. Please be fully present for your session. Guests under the influence of alcohol or drugs will not be treated. Please provide at least 24hours notice by phone, not email, if you need to cancel or reschedule an appointment. This gives me enough time to fill the appointed time. In the event that cancellations are repeated often, I will require prepayment for future appointments along with a card on file. Treatment sessions need to begin and end at the scheduled times. In special cases, and when schedule will allow, I may be able to accommodate a partial or full appointment. This will be at my discretion and only with proper, advanced notification of your late arrival. The original appointment fee will be charged regardless of adjustments made to the appointment. Please be courteous of my time and that of others. I understand when there are emergencies and a client cannot keep their appointment or cannot call to cancel. However, guests who fail to show for their appointments will be charged in full for their missed appointments and may be asked to pre-pay for any future services as well as keeping a card on file. Please understand that massage therapy is not a substitute for medical care. I cannot give you medical advice or diagnoses. In order to give you the best treatment possible to meet your needs, guests are required to provide a health history and updated as periodically. This includes any medications you are currently using, if you are under a doctor or chiropractor's care and any and all medical issues you may currently have or have had. I also need to know if there are any changes in your health. This is vital in our communication so that I am able best adjust my modality for you or consult with your physician prior to continuing services. This is for your well-being as well as allowing me to work within my license guidelines. Please be assured that any medical and/or any other information will be kept confidential. I do not accept insurance at this time. If you would like a print out of the service you paid for, I can do this for you so that you may turn it into your insurance company. I can also email a receipt for you for your records. Payment is expected at the time the treatment is given unless other arrangements have been made PRIOR to the treatment. I accept cash, checks and credit cards. Accepted methods of payment will be cash, checks and credit cards. Arriving and accepting services without having payment in hand will result in termination of future appointments until paid. We understand that mistakes occur and a returned check can happen. As we too will incur bank fees over a returned check, the amount for the service rendered as well as a $35 fee will be charged. Although gratuity is not expected, and while it is always greatly appreciated, never feel it is a must to make an appointment. The breast and genital area will not be massaged under any circumstances. Permission will be asked before working close to these areas and professional, proper, careful draping will always be maintained. Low back, hip and gluteal area will be massaged with permission and/or by request, always with a professional, proper draping or through the draping if requested. Sexual interaction or discussion of any kind between client and the massage therapist is NEVER appropriate. On rare occasions, an involuntary sensual response to massage is natural and will subside on its own in a few moments. I do not massage anyone under the age of 18 without a parent consent and present. 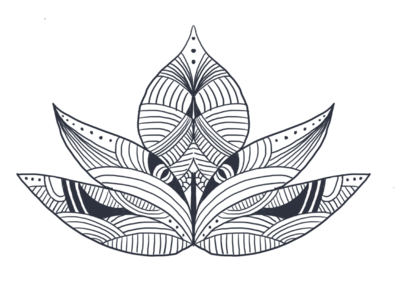 Blue Lotus Healing Touch is a place of quiet relaxation. In order for your moment of wellness to be beneficial, and for me to be fully present during your appointment, please turn off your cellphone. Please understand that although we love children, my office cannot accommodate watching them during your appointment. Bringing children to your moment of wellness and relaxation will not allow me to care for your needs the best I can.